The story of young Finnish migrants in the 1960s when drastic changes emptied the Finnish countryside and sent thousands of Finns to Sweden. Sauli works various jobs and plays the accordion in the orchestra of Pohjanmaa. When the soloist singer, Sauli’s wife, leaves for Sweden, the orchestra breaks up. Sauli follows her and enlists in the Volvo foundry where he cleans casts. The work is heavy; the Finns and Yugoslavians are seen as a pariah class. Outside his work, Sauli starts to play in a dance band. 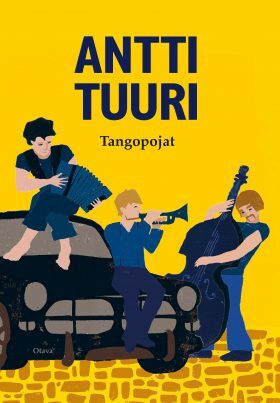 As their reputation as tango players grows, the boys travel to play their music in local areas where Finnish people live, attracting thousands of dancers. Soon, the band begins a tour. Numerous twists of fate will cross Sauli’s path.